It sure has been a long winter around here and many parts of the world. Our local weatherman said that we usually have really cold (negative zero) weather or snow around here. This year we had both! My kids are still busy with lots of activities, but I just feel like sitting. 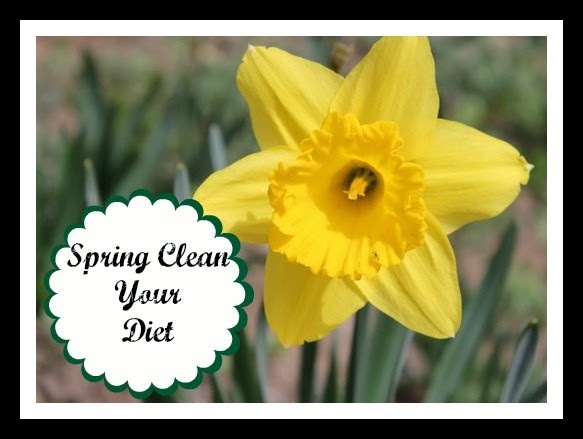 We all like our comfort food when it’s cold, but if you have induldged in a little too much processed comfort food over the winter, then now is the time to take a look at some reasons why you need to Spring Clean Your Diet. like our grandparents ate certainly can’t be unhealthy. you……….why do so many people have diabetes, coronary disease and cancer? about you, but that doesn’t sound like much variety to me. The greater variety you have in your diet, the better your nutrient profile will be. benefits like reduced headaches, weight loss and more energy. can give the illusion of health, if you believe what you read on the labels. approach to eliminating processed foods, check out The Real Food Experience. I am so ready for winter to be over. And now that March is about to wrap up, so are my potato filled Irish recipes. It was fun to share Irish-American Heritage Month with almost 30 recipes. I'm ready to spring clean my diet for sure. I dusted off my Michael Pollan books. I want to give them a re-read. It's been on my list for some time. Seems like spring cleaning is as good of time as any! Good news Chrystal……..potatoes are real! Michael Pollan is a great read. So much information in such an easy to understand writing style. It's so hard to believe it's April already! Where does the time go? We definitely try to eat as little processed foods as possible…I won't say we never eat them, but these are great reasons to try to avoid them. I won't say that I never eat processed food either. I will say that it doesn't make me feel good and doesn't have the same flavor for me that it used to. My taste buds are really changing. It still surprises me. great post! Spring is such a great time to start fresh with everything, diet included!! Thanks again for your weekly linkup! It sure is Joyce! It's a fresh start like New Year's………only with more fresh food at the farmer's market. Portion control is something we are working on with our family now that we've cleaned up our diet. I'll be sure to check out your site. Thanks for letting me know about it. I've been trying to cook a lot more lately. Generally the food tastes so much better than any prepared meal! I still eat processed food (at least more than I would like), but I have found if I meal plan for the week and spend a night or two cooking than I have delicious leftovers and am much less likely to just grab junk when I'm hungry. And it's just gross how much corn and soy is in our food! Way to go Bev! Meal planning is a great way to avoid processed food. Every real food meal you eat is one less processed food meal. You are doing better than most people out there. I love that real food all tastes different. I find that processed food pretty much all tastes the same. Eating more real food definitely tastes better and is better for us. Having done a Whole 30 last year, I was amazed at how absolutely delicious food tasted. Plus, it encouraged me to look at new recipes and spices. All good! You are right on Kim! When my family switched to real food, we kept repeating…….."Wow! This is really good." It was like we had discovered flavor for the first time. Great article Christina. Junk food is such a waste of money. It's devoid of any real nutrients and is so much more expensive that the real food ingredients it would take to create it from scratch. Real food tastes so much better. Thanks a bunch Nicky! Junk food is a waste of money. Sure, we eat for enjoyment, but the real reason for food is to fuel our bodies. It just makes no sense to eat a lot of empty calories. Some processed food looks like bargain prices, but it just doesn't compare to buying ingredients. Real food has so many more flavors than "deep-fried" which is what processed food tastes like to me. Great tips! I can't wait until the warm weather finally gets here! Process food is terrible!! If you get into the habit of cooking real foods it won't seem like such a big ordeal. I agree completely Kris! At first it seems like such a big deal to cook all of the time, but soon it just feels normal……even for busy folks. We are expecting snow here tomorrow. Ugghhh! Come on spring! I'm so happy you shared this with Real Food Fridays. You're posts are always so thoughtful and I appreciate how you present the information. Have a great weekend! Thank you for your kind words Lydia! I like to keep things simple because real food really doesn't need to be complicated. Not that long ago, we just called it food. I would love to see more of us get back to that. Thank you for your kind words Marla! I appreciate your help in spreading the good news of real food. I love number 7!!! It's the best reasons since so many people think they can't afford to eat healthy but, eating processed food or fast food is just throwing money away. Great point! I've really enjoyed being a part of the HOP this past week!!! It's been great having you join us Allie! You brought great energy to the party. I do often hear how expensive eating real food is. I just don't see it that way. That is one of my favorite quotes from Michael Pollan. His work has been a huge influence on me. I really think most everything out of the box tastes the same. There are so many spices I still have to discover! 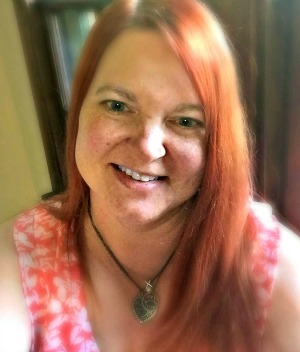 Loved you post so much and your ideas that I chose it as one of my featured articles for this weeks Real Food Fridays Blog Hop. Looking forward to all your future posts and thanks for being part of Real Food Fridays Blog Hop and helping to educate people on the importance of healthy eating and diet. Have a wonderful healthy day! Thank you for the recognition Marla. It means a lot to me. Knowledge is power! 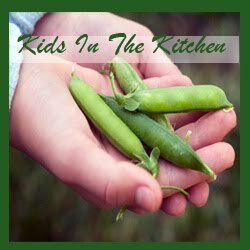 Great post thanks for sharing again on Real Food Fridays this is what the link up is all about. I'm glad you enjoyed the post. Happy to be part of the real food team. Great post, Christina! I can hardly wait until the local farmers market is up and running. It will be nice to have fruit and veggies that are locally grown and so much more fresh. I think the real food revolution is finally taking hold but we have a long way to go! Your blog really helps in making a difference. Oh Robyn………you made my day. Thank you for your kind words. The day our farmer's market opens up is like a holiday at our house. The whole family packs into the car with their favorites in mind. I'll me honest…….my little guy loves the Amish women who bring the baked goods. My daughter wants to bring all the fruit home. My teenager likes to play it cool, but always comes home with a favorite. I also need his muscles to help when watermelons come in. Those suckers are heavy. LOL!